"The Sopranos" star James Gandolfini has a new movie: "In the Loop," a brutally funny political satire now in theaters. Gandolfini isn't the only "Soprano" who has moved on to new things since the celebrated HBO crime drama ended in June 2007. Take a look at what the actors who portrayed the hit show's major players have been up to since the family — and the Family — played out the final episode. 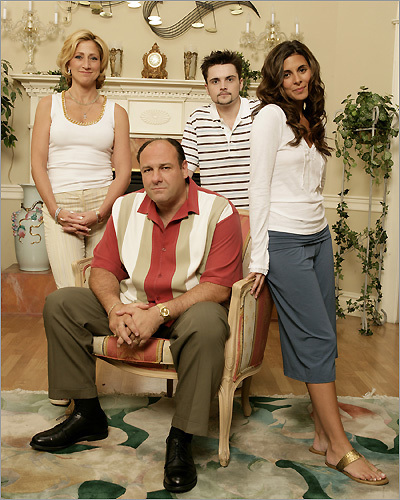 From left: "Sopranos" stars Edie Falco, James Gandolfini, Robert Iler, and Jamie-Lynn Sigler.